Well, i did it. I ran it 19 mins slower than I did my last post-baby 1/2 marathon. But this one was more fun I am sure. These ladies are awesome! It was a lot of fun to be in pain together, and I got to learn a lot more about them. (My lips are sealed). I got more chaffing and blisters than should be allowed for a seasoned (ahem) runner like me. What went wrong? It certainly wasn’t because of that GIANT cinnamon roll I ate in the dark for breakfast I know that for sure. That was awesome. Well…it’s good to be back. 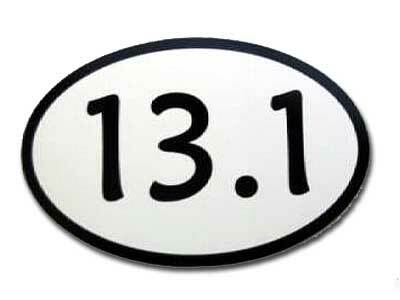 I’ll see you, Mr. 13.1, in three weeks. Be ready. I’m nervous, a tad scared, anxious, but very excited! It has been waaaay too long since I have run a race– and tomorrow I break that streak. I’m headed to Logan, Utah to run the Top of Utah 1/2 marathon! (JoBecka will be there too, but she will be showered and fed before I even finish I am sure.) I am looking forward to a nice downhill, canyon run. It has been a hot summer to train and running in a canyon (none of those around here!) sounds like heaven. Except for the running part. Here’s the best part though- I get to run with 6 ladies! I have never had a running group before and this has made all the difference for me. Having a support group to sweat with, laugh with, get up at the crack of dawn with, plan with, and run with has made this journey just what I needed. (Being post pardum can make you needy). My husband shared a story with us early on in our training to motivate us. 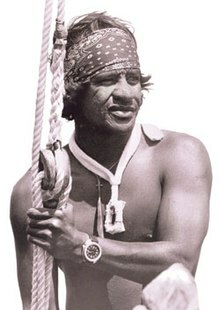 It’s about Eddie Aikau. He was a well known Hawaiian lifeguard and surfer. He was the first lifeguard at Waimea Bay on the island of Oahu. (Only my favorite beach in Hawaii with lots of college memories for me there.) He saved many lives and became famous for surfing the big Hawaiian surf. He died trying to save some team makes that got caught in a swell in the ocean. They have a surfing contest each year if the surf gets at least 20 feet (it’s only been held 8 times). The catch phrase started from that, “Eddie would go.” We used that many mornings as we were too tired, too sore, or too hot. “Eddie would go” moved us to this 13.1 miles. It means, “You can do hard things!” So we had some shirts made up to remind us of that. They say, “eddie would go” on the front, and, “so would i” on the back. So I’m going. For the first time in a long time. I’ll let you know how it goes. We have been very busy little bees this last year. We have been working on a pretty exciting addition to i declare! then chances are, your friends will too! So here’s how the super easy program works. You sign up (for free). You get a unique, just for you, link. You post that link where ever you want, in an email, on facebook, on your blog, etc. Whenever someone clicks on it and places an order, you get paid! You can click here for the specifics. Your mother orders a Love of My Life Necklace for the new mother in your family-$75 spent. Your sister just ran her second 1/2 marathon & wants to start a brag bracelet to show off her first 2 accomplishments-$153 spent. Your husband knows how much you love i declare! & orders a cluster necklace for your birthday (smart husband! )-$95.00 spent. That’s a total of $323. You receive a check for $48.45 (level 1 commission). It’s that simple! Your running group decides to get a charm commemorating your big race. 10 people buying a charm plus a few extra fun items-$398 spent. Four different friends saw your pin about your favorite new i declare! bracelet & each ordered one through your link-$276 spent. Seven people saw your post you passed on about our i declare! sale-$1380 spent. That’s a total of $2054. You receive a check for $410.80 (level 2 commission). Not bad for just pinning & passing on an i declare! sale! You can email us with any questions… we would love to have you on board!